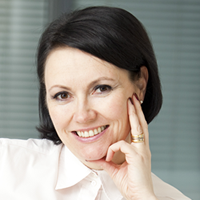 Petra Mengelt is the Customer Service Director of Euroloan Group PLC. Petra has ten years of lean management experience in aerospace and metals industry, in both the US and in Europe. For over a decade, she has trained hundreds of people, from entry level employees all the way to board members to improve not only their attitude but also a broader understanding throughout the organisation. As a customer service director at Euroloan Group PLC, Petra is responsible for the customer experience throughout the customer journey. She wants to challenge traditional banking online service to offer emotional experiences that customers remember and are willing to recommend. Euroloan Group PLC is a rapidly growing international FinTech group, headquartered in Helsinki, Finland. Euroloan has developed the most efficient business models and systems in the market, and is one of the leading service providers in key European markets. The company provides customers with real-time credit, enabled by a fully automated cloud service. Euroloan has consolidated its market position and increased its market share continuously from the time the company was established in 2007.